A British Columbia initiative to kill some 180 grey wolves has prompted outrage from animal rights groups, but perhaps not for the reason you would think. While some oppose the wolf culling on ethical and moral grounds, some have also questioned the strategy from a scientific perspective, claiming it won’t have the desired effect of protecting the dwindling caribou populations. The Ministry of Forests, Lands and Natural Resource Operations said the project would save herds from wolf predation in the South Selkirk Mountains and the South Peace region. "The South Selkirk herd is at high risk of local extinction. The population has declined from 46 caribou in 2009 to 27 in 2012, and to 18 as of March 2014. Evidence points to wolves being the leading cause of mortality," the statement reads. "Ministry staff will aim to remove up to 24 (South Selkirk) wolves by shooting them from a helicopter before snow melt." Another 120-160 wolves will be similarly killed in an aerial hunt in the South Peace region. But at least one animal protection agency is speaking out against the cull by claiming the reasoning behind it is scientifically flawed. The non-profit Wolf Awareness group says reducing the wolf population will do nothing to protect the local caribou population. Killing wolves to increase ungulate populations is an outdated management practice that has failed to increase ungulate populations long-term where-ever it has been tried in the past. Wolf populations rebound quickly and dispersing wolves fill in the vacant space created where resident wolves have been killed. All evidence to date shows that killing wolves will not work to reduce predator numbers. 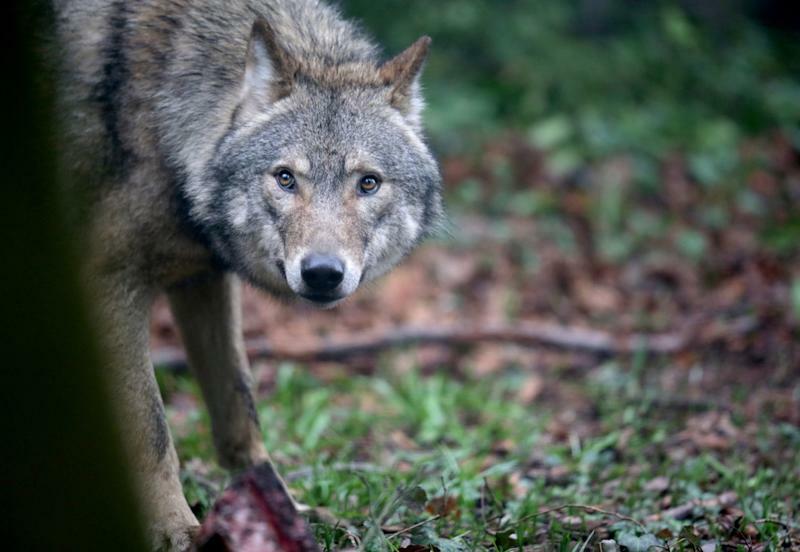 In 2012, a wolf management plan was drafted for the B.C. government, outlining how to best-handle the 8,500-large grey wolf population. What does the report mean by an “intense” reduction? It notes previous studies suggest cutting the population by 80 per cent, in an effort that lasts more than five years, has shown signs of success. Similar practices have been ongoing in parts of Alberta for the past seven years. According to the Canadian Press, nearly 1,000 wolves have been killed over that time, while the Little Smokey Caribou herd has seen little growth during that same period. Last year, a group of international scientists and the Alberta Wilderness Association called on the province to end its wolf bounty program, calling it an ineffective way to control the animal population. Those opposed to the Alberta hunt point to the need to protect the caribou`s natural habitat as the best way to protect the declining species. The Canadian Parks and Wilderness Society says Alberta caribou have already lost 60 per cent of its land to industrial growth, with areas like the Little Smokey range reaching above 80 per cent. That habitat loss is forcing caribou into more direct contact with wolves, with animal nature doing the rest. The same argument is now being made in the British Columbia standoff. Scientists and advocates say killing hundreds or, over time, thousands of wolves is a short-term solution that won’t solve the caribou population in the long run. The Canadian Parks and Wilderness Society conducts an annual study on the country’s caribou population and efforts to protect them, and found last month that we are lagging when it comes to protecting their habitat. Hebert-Daly said that while Manitoba took steps to protect the caribou in 2014 – by creating a park with 1,000-square-kilometres of protected habitat, no other province made inroads. In many instances where ranges are already highly disturbed, the primary cause for caribou mortality is wolf predation. But it is important to note that the increased predation is the outcome of habitat fragmentation, degradation and roads. After an area is logged, new growth attracts other ungulates such as moose and deer, which attract more wolves that indiscriminately prey upon caribou. In some instances, caribou populations will be extirpated if predation continues unabated. But the killing of wolves in the absence of meaningful habitat protection and restoration is not a viable solution, and may further disrupt the natural balance of functioning ecosystems. The British Columbian government, in the meantime, maintains that culling is the best method to protect the caribou population from a scientific standpoint. While it says habitat recovery is an “important part” of protecting the caribou population, it has proven ineffective on its own. Tom Ethier, an assistant deputy minister of B.C.’s Ministry of Forests, Lands and Natural Resource operations, told QMI Agency that wolves are the leading cause of caribou deaths. "The province believes that caribou are a valuable part of the natural ecosystem, and should not be left to slowly die out," he told the news network. "Other caribou recovery efforts, including habitat protection and restoration, are already in place and will help put caribou back on even footing ecologically, but if we wait for these measures to have an impact, it will be too late." More than 32,000 people have already signed the petition.